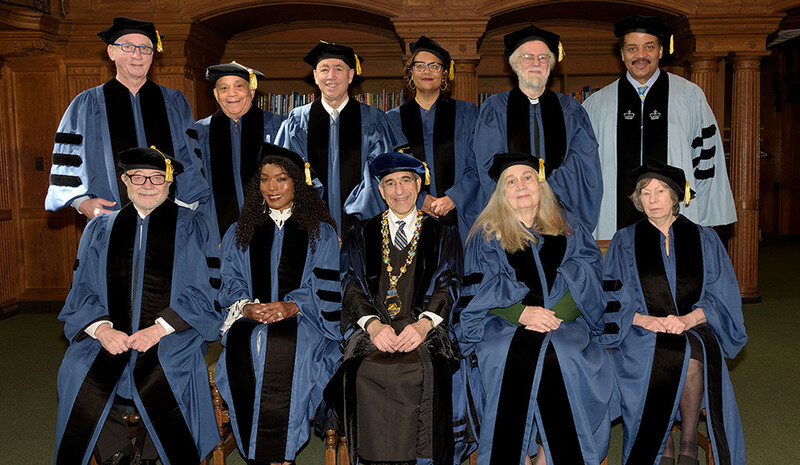 Yale awarded two phenomenal Black women honorary degrees at the commencement exercises on Monday. Poet/playwright/essayist Elizabeth Alexander was awarded a Doctor of Letters and Angela Bassett was awarded a Doctor of Fine Arts degree. Both women are Yale graduates. Alexander taught at Yale for 15 years and chaired the African American Studies department. She is now the president of the Andrew W. Mellon Foundation. She graduated with an undergraduate degree from the college in 1984. Ms. Bassett graduated from Yale with both an undergraduate degree and an M.F.A. at the Yale School of Drama. She received an Oscar nomination in 1994 for her performance in What's Love Got to Do With It?